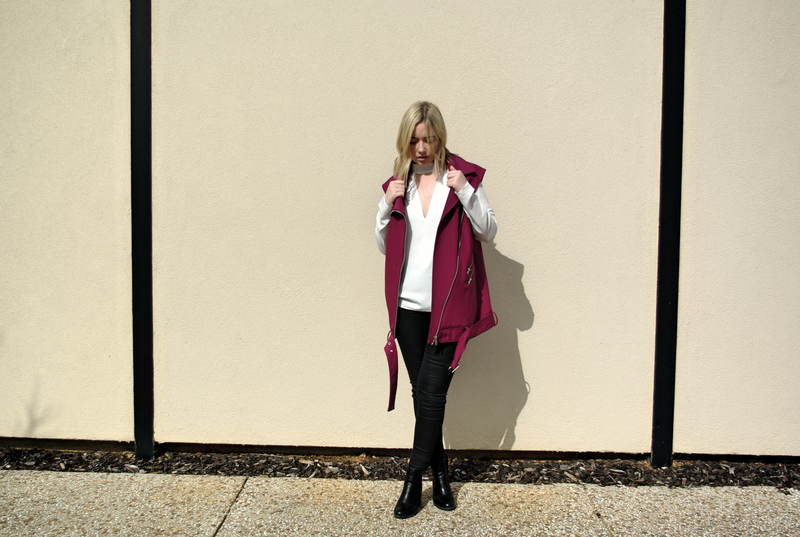 If you’re anything like me, sometimes putting an outfit together is just too hard! Whether you’re running late, think you have nothing to wear or are just struggling to figure out what you want to wear, this tip is for you! 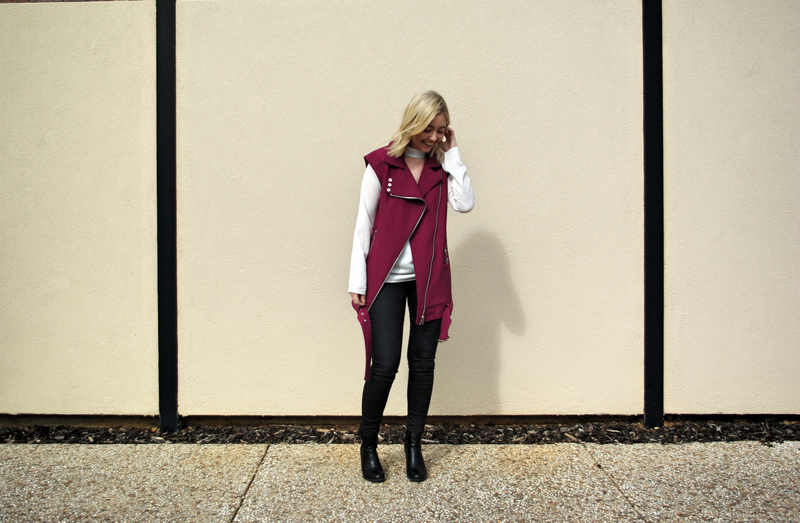 Vests are my number one go-to piece in my wardrobe for quick and effortless style. 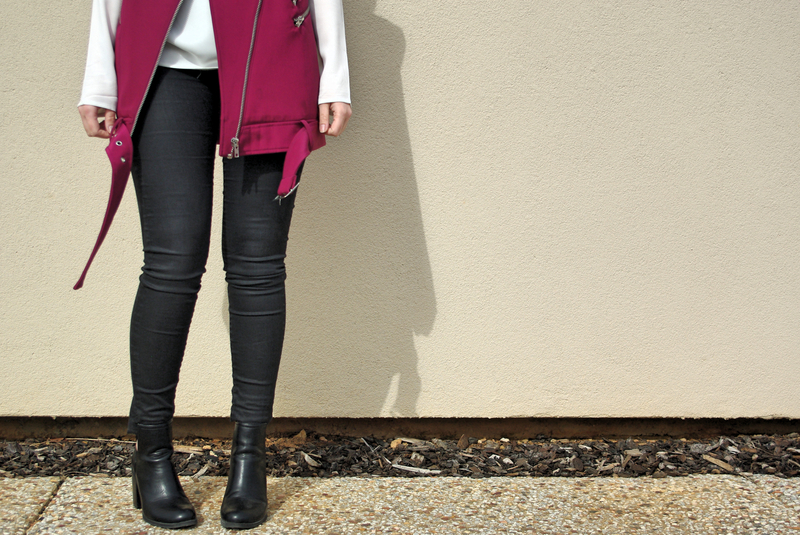 They are the statement of most outfits so you don’t have to think too hard about the rest! Go for a bold, contrasting colour to make your outfit pop or keep it simple with black or grey and complete the outfit mono-chromatically – a classy look that is so easy to execute! If you are daring and willing to try a bold colour, keep the rest of your outfit simple so you don’t take attention away from the star of your outfit. 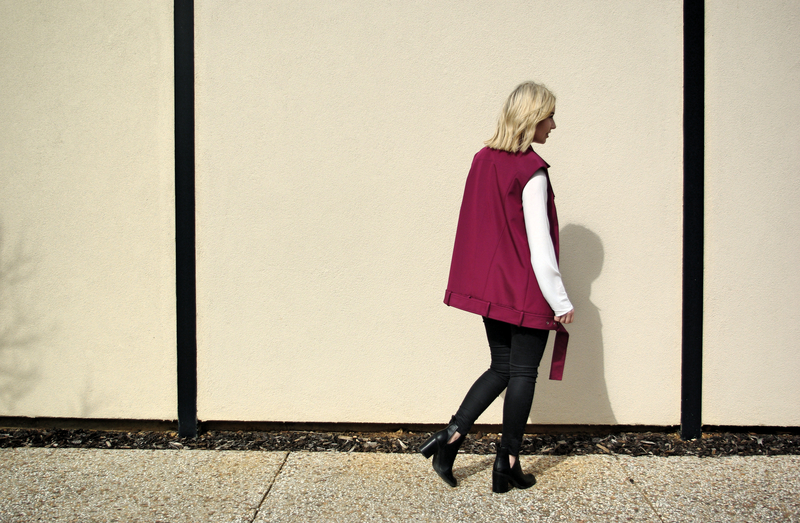 I teamed this cut out white blouse with my cut out ankle boots to pull the look together while still keeping the bold, biker Cameo vest the centre of this outfit.